Residents of Flint, Michigan are still sitting on pins and needles as a federal investigation has been announced that is expected to solve the water crisis which is devastating the lives of over 100,000 people. 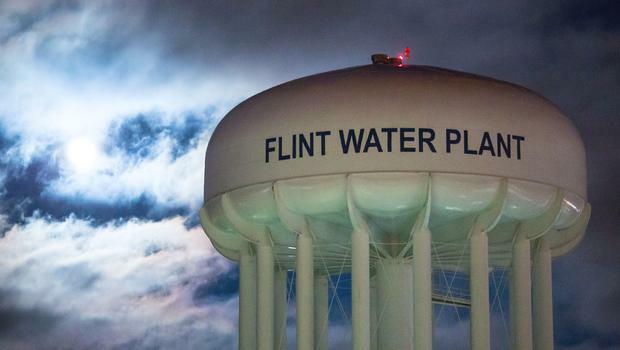 The federal investigation will determine if laws were broken while the water supply was being switched in Flint, and how many people were affected by the contaminated water. Over a year ago, the water source in Flint was switched from Lake Huron to the Flint River in efforts to save money while in the midst of a financial emergency. Michigan Governor Rick Snyder has come out and publicly apologized for the crisis. According to USA Today, Snyder made a public apology in a State of the State address on Tuesday January 19. The federal government did not intervene until January 5, when Snyder declared a state of emergency. On January 12, he ordered in the National Guard to assist with the distribution of water bottles to Flint residents. Several have blamed the Michigan Department of Environmental Quality for not addressing the corrosiveness of the city’s water in the beginning. Others have claimed that the government knew about the lead in the water, and chose not to address the problem. The Michigan Department of Environmental Quality director, Dan Wyant has resigned. Although the reasoning behind his resignation has not yet been released, it has left several wondering if his resignation is directly related to the Flint water crisis. Diamond Gantt, a second-year, political science major from Washington, D.C., stated, “A federal investigation is necessary in order to understand what went wrong, when things began to go wrong, and how they went wrong”. Diamond also feels that in order for the government to regain the trust of Flint citizens, Mayor Karen Weaver needs to come out publicly and release a statement that contains what steps he will take in the future to prevent something like this from happening again. According to HuffPost, a spokeswoman for the U.S. Attorney’s Office for the Eastern District of Michigan released this statement Tuesday, following the announcement of a federal investigation. Though steps are being made towards recovery, it will be a while before residents of Flint can begin to live their lives normally again. Many children have been left with permanent damage to their nervous system, and have been faced with developmental issues because of the contaminated water.